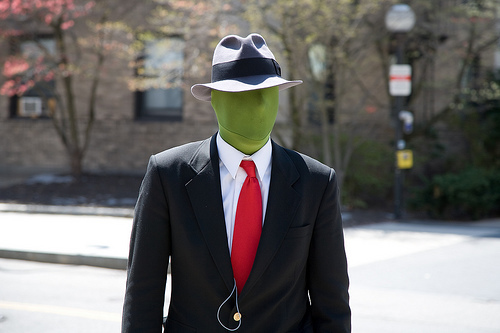 Anonymity in CJEU cases: privacy at the expense of transparency? Juliet famously asked: “Romeo, Romeo wherefore art thou Romeo?” And then adds: “What’s in a name? That which we call a rose by any other word would smell as sweet.” Having an unfortunate name (like Montague, if you have the misfortune to fall in love with a Capulet) can be challenging. But what about having no name? That can be decidedly problematic too. That is why both the Strasbourg and the Luxembourg courts have recognised a person’s fundamental right to the use of their own name. The long-standing practice of the Court of Justice has been to replace the names of asylum seekers, children and other individuals in sensitive litigation by initials, while using the actual names of natural persons in other contexts. Then, in late June, the Court announcedout of the blue that this long-standing policy was to partially be reversed: since 1 July, the default position is that, where preliminary references are made in cases to which individuals are party, their names will be replaced by initials which do not correspond to their actual initials. Needless to say, the impetus behind this change was the Court’s own case law on the fundamental right to data protection, the recent entry into force of the GDPRand the proposed(and subsequently adopted) Regulationto replace Regulation 45/2001 on the processing of personal data by the Union’s institutions. Of course, data protection is not merely commendable, but absolutely indispensable in the digital age. But this fundamental right, which is enshrined in Article 8 of the Charter, is not absolute, as is plain from the language of that provision itself and Article 52(1) of the Charter. Consequently, this right must be balanced against an individual’s right to the use of his or her first name and surname. It is settled law that, because this is an essential element of a person’s identity, it falls within the right to private and family life under Article 8 ECHR. Over twenty-five years ago, in his seminal Opinion in Konstantinidis, AG Jacobs introduced the same principle into EU law; and it now undoubtedly falls within Article 7 of the Charter. In addition, the freedom of expression enshrined in Article 11 of the Charter must be borne in mind. Article 85 of the GDPR specifically requires the Member States to balance data protection with the “freedom of expression and information”, including processing for the purposes of journalism. As one would expect, the Court’s announcement makes it clear that the Court “may” depart from this new rule “in the event of an express request from a party or if the particular circumstances of the case so justify”. Unfortunately, this phrase is so nebulous as to give no guidance as to the circumstances in which the Court will consider that the “particular circumstances” will justify this. In the well-known case of Wightman(discussed here), the Court has set out the full names of all the applicants: that is scarcely surprising since they are all politicians or activists. Frequently, however, litigants who do not – initially, at least – fall into either category are proud to have their names attached to a leading case. Will individuals always be informed of their right to have their names used in the proceedings in time to inform the Court of their wish before it is too late? Rumour has it that the Court is contemplating informing the senior judiciary of the Member States of each new preliminary reference more speedily than in the past so as to deter other national courts from posing the same preliminary questions. That seems an excellent idea, but it should not work to the detriment of the fundamental rights of litigants. In any case, there is nothing to preclude the Court from withholding their names when first making the existence of a new preliminary reference known, and revealing them shortly afterwards if it is appropriate to do so. All the Court had to do was to announce that it was altering its practice as to when it would anonymise parties’ names “of its own motion” in future. What is more, it is not clear whether, in keeping with normal rules of good governance, the Court took to the trouble to consult any other institutions or bodies such as the other EU institutions, the Member States or the CCBE before taking this important step. Article 95 shall apply, mutatis mutandis, to the procedure before the Court of Justice on an appeal against decisions of the General Court. What is striking is the disparity between the Court’s apparent willingness to accept the GC’s judgement on matters of anonymity and its determination to impose its will with respect to preliminary references, regardless of the practice of the referring court. The Court’s new practice is puzzling on two counts: first, it appears to run counter to the Court’s own mantra that preliminary rulings involve cooperation between itself and national courts; and imposing anonymity makes no sense when the national courts are unwilling to follow suit once a case is remitted to them after the Court’s preliminary ruling has been delivered. The Court has no power to prohibit the courts of the Member States from continuing to use a litigant’s real name, nor is the Court in any way empowered to stop journalists or others from doing so. This is graphically illustrated by the high profile case known as Celmer in Ireland, which became LMin Luxembourg (on this judgment, see discussion here) but went back to the Irish High Court as Celmer(see for instance the High Court’s final ruling in the case); and Artur Celmer’s name been mentioned frequently in the Irish press (see hereand here). Following the Court’s announcement, it published a new recommendationto national courts on preliminary references in which it called on national courts to remove the names of natural persons from those references; but that is purely aspirational, on the Court’s part except where anonymisation is required by the GDPR or Article 8 of the Charter. Needless to say, this absurd situation does little to enhance the Court’s standing or authority. Of course, in the common law tradition, parties’ actual names are used in the overwhelming majority of court proceedings. But, even after Brexit, Ireland is not likely to be the only Member State which is at odds with the Court’s new approach, since the use of parties’ names is very widespread in several national legal systems. What is more, the Court’s website is not up to its new task of finding random initials – which is highly problematic for those users who lack the gift of memorising large quantities of case numbers. My search for “LM” yielded just one reference – to an eponymous staff case. Only after a further five or ten minutes of frantic searching did I unearth what I will continue to call the Celmer case. Had it not been a very recent case, my efforts would no doubt have taken longer, as I would have had to sift through more cases. In future cases, names such as Bosman, Coman and Klohn – which enable lawyers to find cases on the website in a trice – will simply disappear. This will make research into the case law far harder, and could even make it more likely that relevant judgments are omitted from submissions to the Court itself. What is more, students of EU law will inevitably suffer, as will their professors. Adding key words to case names, as the Court has promised to do in its announcement in certain cases, will help but it will not be as effective as using the litigant’s actual name, unless the key words are very rarely found in the case law – which is not always feasible. In the subsequent cases, LM is referred to as Minister for Justice and Equality (Deficiencies in the System of Justice); the letters “LM” have disappeared. Unless you remember the precise name of the Ministry or search for “deficiencies”, you are likely to lose a good deal of time. Unlike Google, the Court’s website does not look for words with a similar spelling or meaning to those requested. In short, this new practice will make the Court’s case law less accessible to practitioners, academics and students alike. At the very least, the Court should respect the practice of the referring court in each case so as to avoid a repetition of the Celmer debacle, unless there are quite exceptionally strong reasons to do otherwise. No doubt, other mechanisms can be devised to mitigate the effects of this hastily introduced new policy, including an improvement of the Court’s website. Where are currently the most and least expensive areas to sell property in the capital?